His eminence with Zamanan discussed developments of regional and international political issues and the bilateral relations. 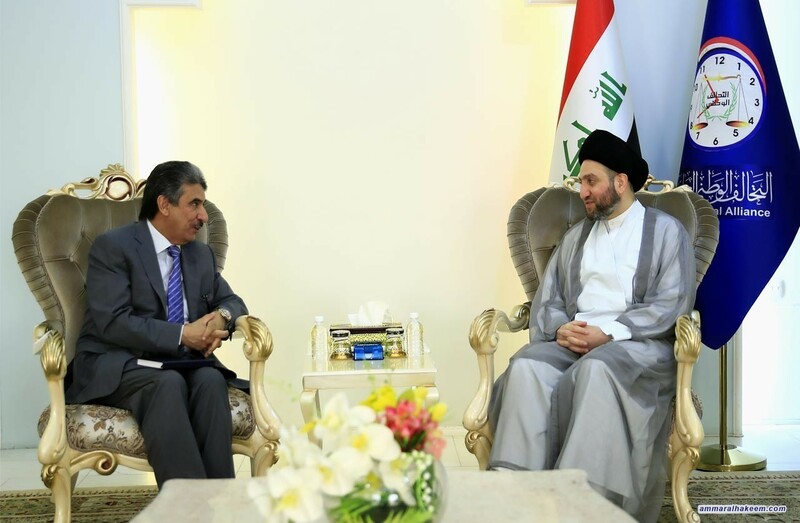 His eminence stressed the importance of adopting dialogue to discuss unsettled issues, noted that new Iraq is an Iraq reconciled with all on the basis of mutual interests. His eminence indicated Iraq's need for reconstruction support, pointed out the importance of the national majority during the current phase to produce a strong government, able of providing services and reinforced by a practical program and a clear timeframe, and above all monitored by a national opposition bloc.